A prayer journal that provides more than blank space to write prayers. 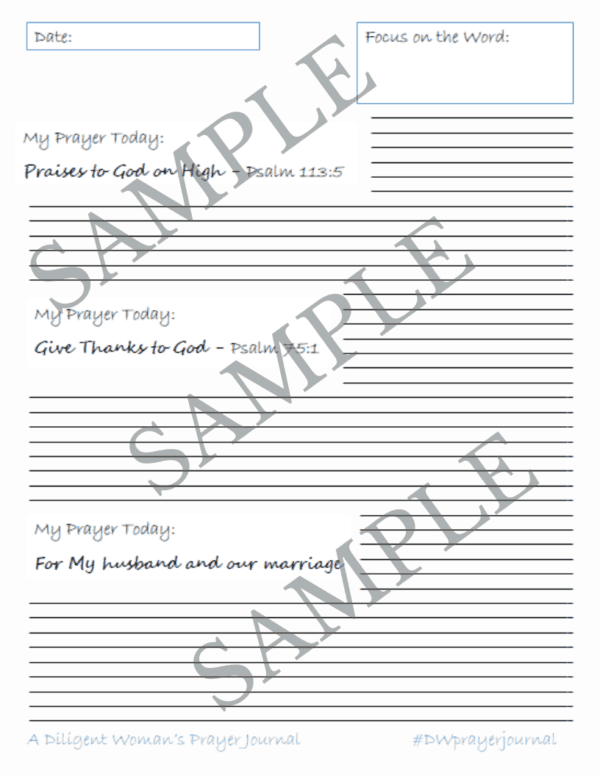 This journal provides prompts to write prayers of praise to God, prayers for your marriage, family members, spiritual family, as well as your own needs. There are pages for praying in a more freeform manner – use your artistic skills to express your prayer, brainstorm who to pray for, list out your goals, etc. 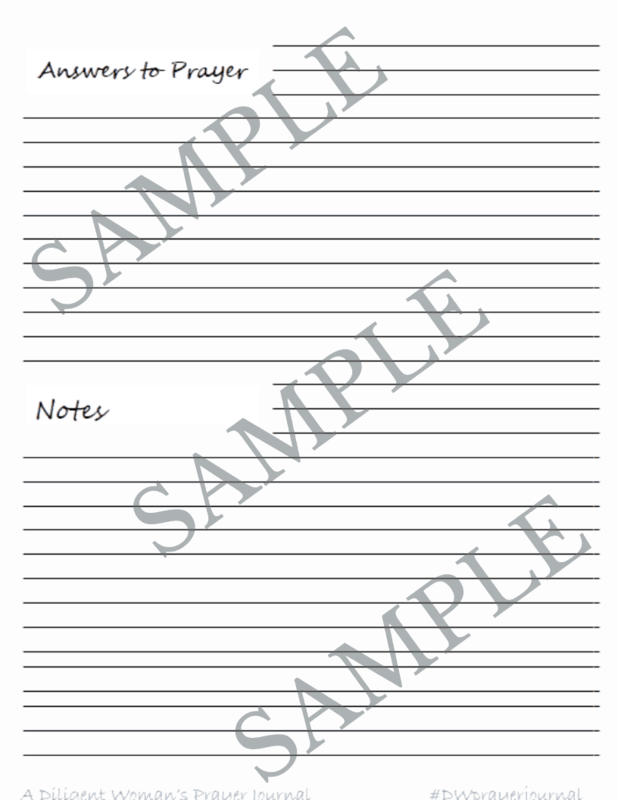 Places to note Answers to prayer and to make notes about other things are also provided. 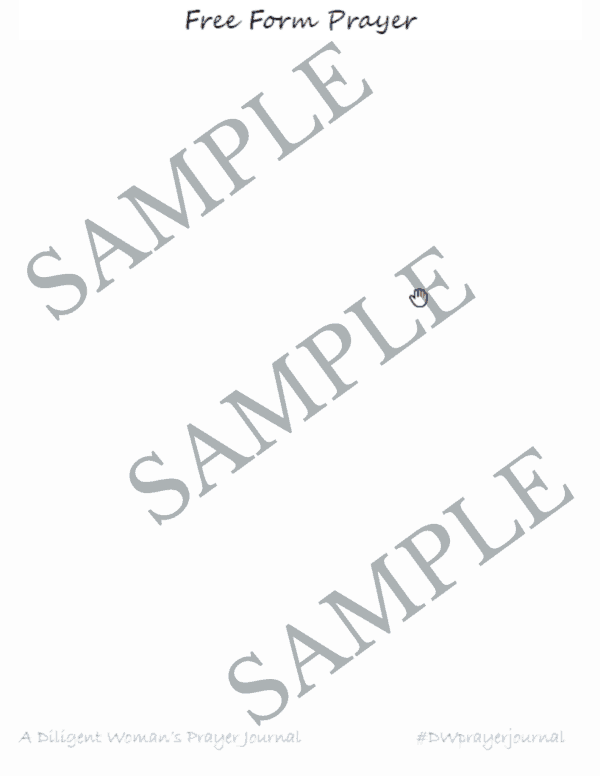 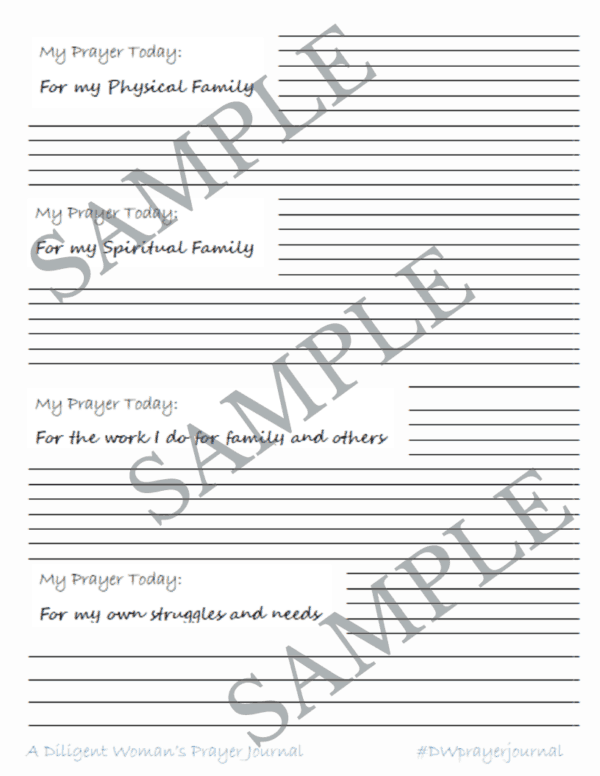 This prayer journal helps you to organize your time spent in prayer. Focus your energy and apply scripture to your prayer time. 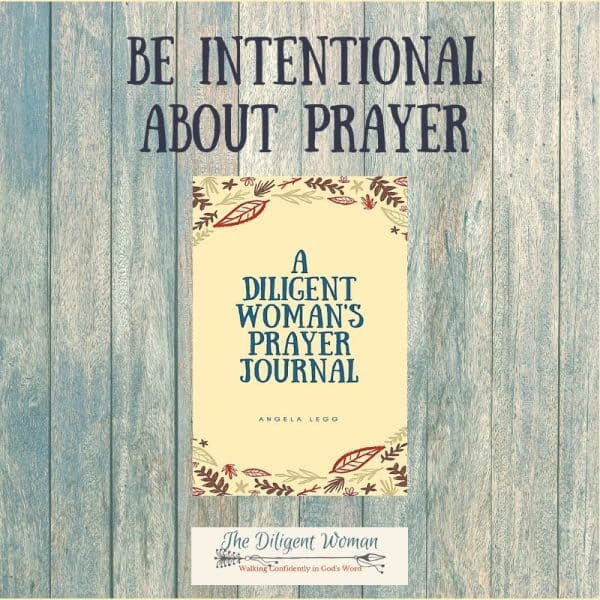 The perfect prayer journal for any woman diligently working to be a benefit to those around her.